When you order our cheap breast cancer checks, you'll enjoy being able to choose from a variety of pink riboon designs. The looped pink ribbon has long been established as the emblem of the battle to eradicate breast cancer. You'll find it repeated on many of our pink breast cancer checks. 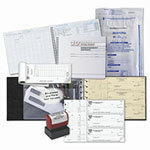 Join the fight against breast cancer by ordering from this popular bank check collection. Those who are affected by the disease know that it dominates all of their living while active treatment is going on, and that it can't be taken for granted even when they are blessed with remission or cure. Support the research to help fight breast cancer. Many of our check printing companies will donate towards this research. Using personal checks that reflect that ongoing concern is one way of keeping it in the fore. The pervasive sentiment is Hope and several of the designs in the collection embody that message in hearts or flowers or scattered imprints of the words "courage," "hope," "believe," "fight," "faith" and others that signify the struggle and the greatest hope of all - that someday breast cancer will be relegated to medical history.